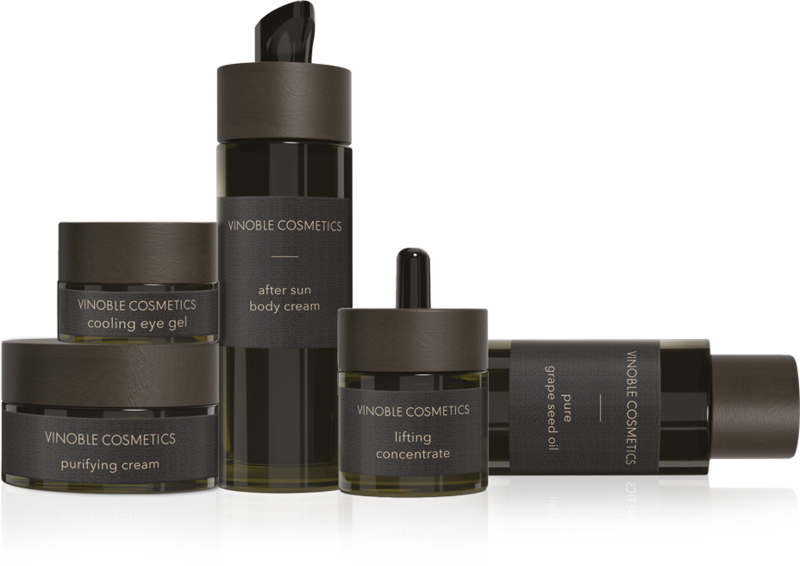 Vinoble [c]lean luxury products combine natural ingredients, minimalism, sustainability and efficacy. This is our promise to your skin and the environment. We believe that clean products are the secret to long term skin health. That’s why Vinoble products are entirely free from harmful substances. These include: parabens, paraffins, PEG-substances, synthetic dyes, and hormonal active substances. For our formulations we chose ingredients that guarantee the best possible skin tolerance with maximum efficacy. Our products are vegan and registered with the Vegan Society. With our product range, we redefine the meaning of luxury. Lean luxury, for us, means luxury reduced to the essential: the content. Our products combine fine textures, delicate scents and a minimalistic design, providing small moments of luxury for every day. We believe that skincare should be easy to use. That’s why our product range consists of only one single unisex line with products to match every skin type. At Vinoble Cosmetics, we feel deeply connected to our region and the beautiful countryside surrounding us. With our modern on-site production center and environmentally friendly glass and wood packaging, we make sure to keep our carbon footprint as small as possible and aim to set new standards for sustainability within the beauty industry. In our products we combine active ingredients of the highest quality to create formulations that deliver quickly visible results for long-term skin health. A holistic approach to skincare is important to us and we believe that healthy skin is the result of not only good skincare but also a balanced lifestyle.